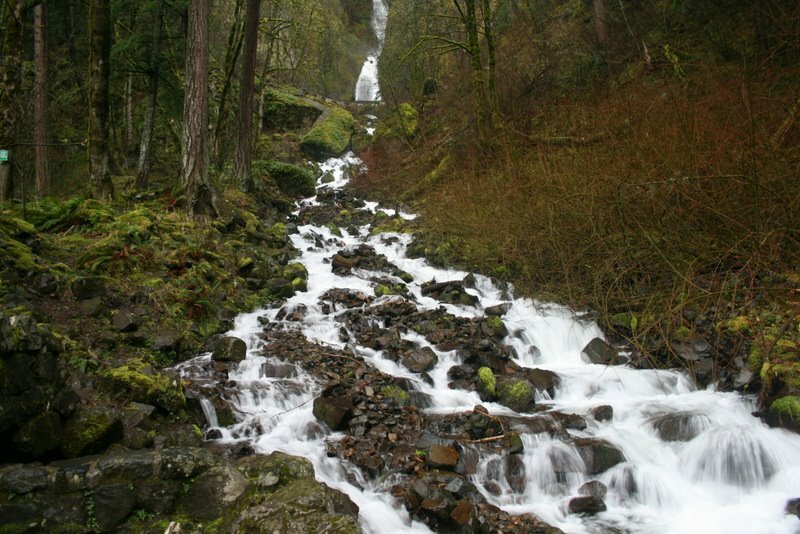 Visible from the highway, the name of this waterfall comes from a Pacific Northwest Native American word for “most beautiful”. As we drove by, we were captivated by its beauty and pulled over into the parking lot. From high up, the water came flowing down over the rocks towards the bottom of it. As we photographed the waterfall, several raindrops came down, but still a great view! I really liked Oregon, especially the falls and the beaches. I love those beautiful green mossy trees. I wish I had my SRL then :*(.